Red blood cell isoimmunisation describes the production of antibodies in response to an isoantigen present on an erythrocyte. Maternal isoimmunisation occurs when the mother’s immune system in sensitised to antigens on fetal erythrocytes, resulting in the production of IgG antibodies. In subsequent pregnancies, these antibodies can cross the placenta and attack the fetal red blood cells – leading to haemolysis and anaemia (known as haemolytic disease of the newborn). In this article, we shall look at the pathophysiology of red blood cell isoimmunisation, how it is screened for, and how it is prevented during pregnancy. In red blood cell isoimmunisation, maternal antibodies are formed in response to surface antigens on fetal erythrocytes. It occurs when the fetal cells enter the maternal circulation via a ‘sensitising event‘ – such as an antepartum haemorrhage or abdominal trauma. It can also occur during delivery. There are rarely any problems during the primary exposure. However, in subsequent pregnancies, maternal antibodies can cross the placenta and attack the fetal red blood cells (if they carry the same surface antigen). This leads to haemolysis and subsequent fetal anaemia. There are more than 50 different surface antigens capable of inducing maternal isoimmunisation. The most common set is the Rhesus D blood group – for which individuals are either positive (RhD+) or negative (RhD-). A woman is RhD-, and her partner is RhD+. She becomes pregnant with a fetus that is also RhD+. During childbirth, she comes into contact with the fetal (RhD+) blood, and antibodies are produced (known as anti-D antibodies). She later becomes pregnant with a second child that is also RhD+. The woman’s anti-D antibodies cross the placenta during this pregnancy and enter the fetal circulation, which contains RhD+ blood. They bind to the fetus’ RhD antigens on its erythrocyte surface membranes. This causes the fetal immune system to attack and destroy its own RBCs, leading to fetal anaemia. This is termed haemolytic disease of the newborn (HDN). 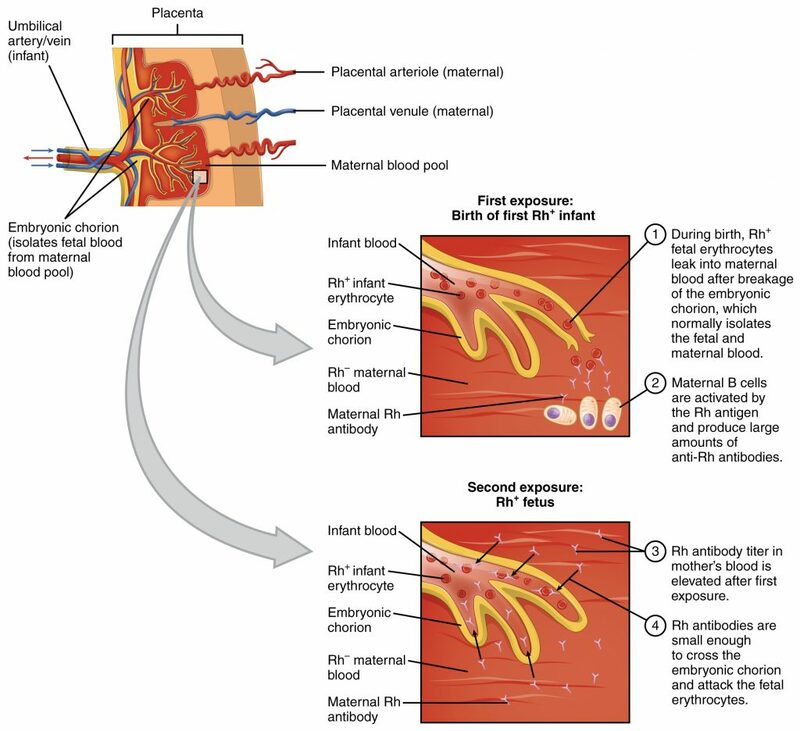 Fig 1 – Maternal isoimmunisation in a RhD- woman, exposed to RhD+ fetal blood. If a sensitising event occurs, maternal isoimmunisation can be prevented via the administration of Anti-D immunoglobulin. It binds to any RhD+ cells in the maternal circulation, and no immune response is stimulated. Note: Anti-D immunoglobulin is never required in RhD+ women, as they cannot generate anti-D antibodies. In the UK, sensitising events in RhD- women are managed according to their gestation (see Table 1). Maternal blood group and antibody screen – determines ABO and RhD blood groups, and detects any antibodies directed against RBC surface antigens (except A and B). Feto-maternal haemorrhage (FMH) test – also known as the Kleihauer test, this assesses how much fetal blood has entered the maternal circulation. If there has been a sensitising event after 20 weeks gestation, this test is used to determine how much anti-D immunoglobulin should be administered. After delivery, the Rhesus status of the baby should be checked. If the baby is RhD+ (and the mother is RhD-), a FMH test should be performed, and at least 500 IU of anti-D immunoglobulin administered. The dose can be increased depending on the size of the FMH. 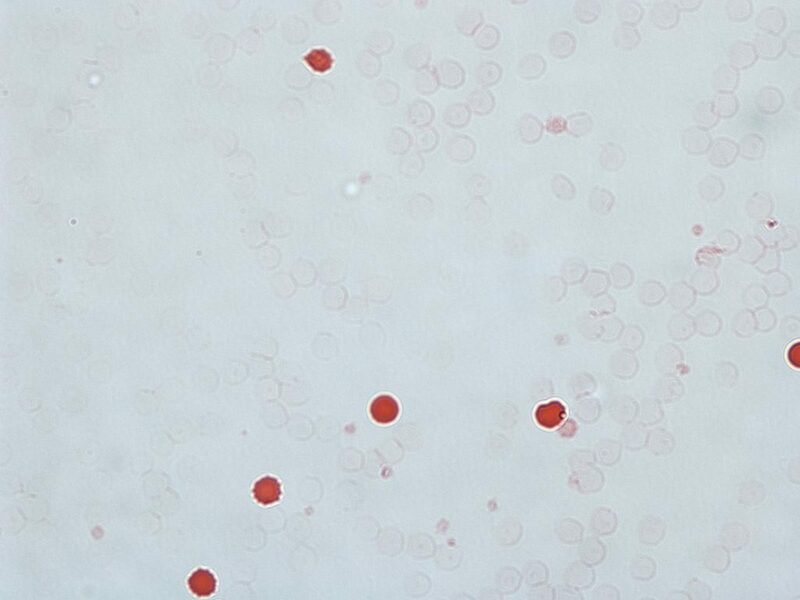 Investigations: Maternal blood group and antibody screen (to confirm RhD-, and that no anti-D antibodies are already formed). Dose: 250 IU anti-D, within 72 hours of the event. Investigations: Maternal blood group and antibody screen (to confirm RhD-, and that no anti-D antibodies are already formed). Feto-maternal haemorrhage test. Dose: 500 IU within 72 hours of the event (dose can be increased depending on the size of the FMH). In the UK, all pregnant women have a maternal blood group (ABO and RhD typing), and an antibody screen performed at the booking visit (8-12 weeks gestation). This is repeated at 28 weeks. Any women found to be RhD- should be offered routine antenatal anti-D prophylaxis (500 IU) at 28 and 34 weeks gestation. Some centres give a single (larger) dose at 34 weeks. Which statement most accurately describes red blood cell isoimmunisation? Which of the following would stimulate maternal isoimmunisation? Which of the following is NOT a recognised sensitising event? What is administered to prevent Rhesus maternal isoimmunisation? What is the role of Kleihauer test in maternal isoimmunisation?